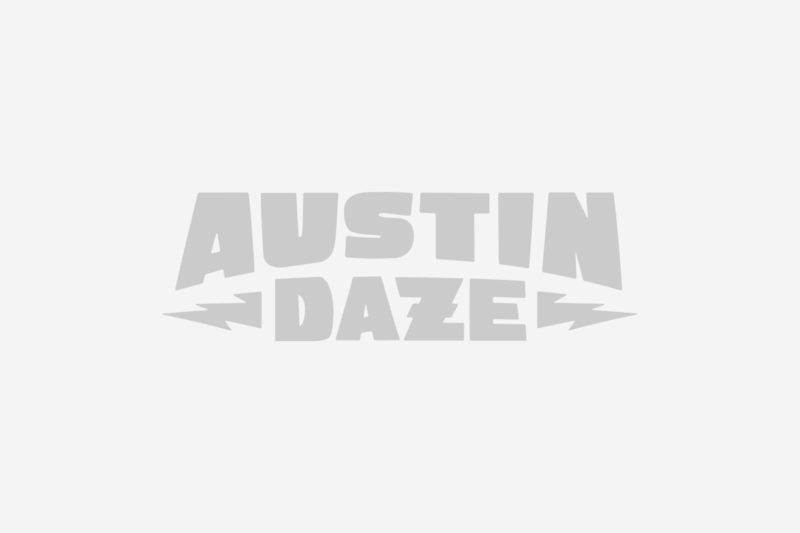 [fa:p:id=1067578298,j=r,s=s,l=p]AUSTIN DAZE: Tell us about your new solo album coming out. BRUCE HUGHES: It’s called Shorty. It’s about 21 songs that are all about 2 minutes long. Some are shorter, there are a couple that are almost 3 minutes, but most of them are really short. AD: How would you describe the style? BH: It’s all over the map. There are a couple that are me and my guitar, there are a couple that are full production, there are some that are full band, some that are electronica, some that are raw. The whole premise of the record really was the “short song.” Not any sort of style or phonetic representation—just as long as it was short it was viable to go on. If it was over 3 minutes long it was cut from the list. AD: Where did the concept come from? BH: I like to write and sometimes I write songs that are longish, and this came from a personal exercise to write as many 2 minute long songs as I possibly could. And then once I had a big bunch of them in a basket I figured, Well why don’t I just put them out? So it’s about 45 minutes worth of music. It should be coming out in September here and everywhere. AD: What moved you towards music? BH: I guess I was singing and banging on the piano at a pretty early age, and was encouraged by my grandmother. I have a musical family on both my mom and dad’s side. I grew up in Austin, Texas and everywhere that I went there was music always playing—in the street, garage bands practicing in my neighborhood, all my friends’ older brothers were in bands—it was just kind of a natural thing. One summer me and my friends were all learning baseball, and the next summer we were all learning to play guitar. I thought every town was like that. I thought every town was littered with musicians and teenagers that wanted to be rock stars. Maybe they did but Austin was a place where that actually came true. AD: Was it bass, guitar or singing first? When did you know that music would be your path? BH: Singing first and then guitar. I’ve been singing ever since I could remember. Guitar: 9, I think. I think bass I learned last—there was piano and then bass—in 6th grade. I already knew how to play several other instruments so I was able to come in and play. At that point I realized I could do anything I wanted to, but I would probably have a better chance at getting a job if I just stuck with the bass. As far as my path, I’m still not sure if it’s the path that I’m going to end up on, but like my friend Stephen Bruton says, “Sometimes by the time you get good at some form of art it is too late to do anything else.” And I have found myself in the enviable and lucky position of making a living playing music with a variety of bands and different music styles for the past 25 years. AD: Did you ever have a day job? BH: Oh yeah, I went to college and worked all the fringe jobs. I worked in restaurants and started a painting crew. In 1988 I just made a decision that I would never work again, ever. And I never had a day job after that. Some years were pretty skinny but it was Austin, Texas and it was easy to live like a king at poverty level—especially in the 80s. I still do that, I’m still able to live like a king at poverty level because I learned that a long time ago. AD: What was your secret? How did you end up with so many killer spots in so many bands? BH: I think it was part talent and part keeping at it and being open to opportunity. There were a couple of times when I was playing in 3 bands and another would come along and I would say, “I don’t know, this 4th band really does sound like something is going on.” I did make some odd and career killing choices early on in my career where people actually told me, “You’ll never work again.” I would say, “I’m not going to be able to make this show.” And they would say, “Well you’re never going to work again in Austin.” And I would just laugh and say, “Actually I already have a gig on Friday.” I am not going to keep working (day jobs) just because I’m not playing in your band. I met Frank (Orrall) and Abra (Moore) when they first rolled through town. I was playing in a band called the Seven Samurai and we were basically backing up Ronnie Lane. And Poi Dog came and opened up for us at Continental Club, so I met them that way. Just really odd beautiful circumstantial meetings developed into these really beautiful friendships and musical relationships. The Ugly Americans was the same thing: it fell from a band we were in that was called the Atlantics, and a bunch of the guys from there turned into the Ugly Americans, which turned into the Scabs eventually. So some of it was persistence; some of it was opportunity; some of it was just pure luck. AD: And the other was talent. AD: When did you start writing songs and why? What is your process? BH: Pretty tricky question, that one. I tried to write songs immediately—whenever I started learning an instrument. Bass didn’t lend itself to songwriting very well but piano and guitar did. It was difficult early on to get people to want to do your song because usually they were musicians and they have their own songs and they want you to do their songs as well. I actually began to steadfastly work on songwriting from about the end of the 80s on. I’ve become a little bit better at it just because I apply myself to it a little bit more. Sometimes songs stumble out of you, but mostly they take work. You have to invite them in, you have to feed them, you have to sneak around a corner and see if you can catch them off guard, and sometimes you have to just pummel them. My process is different every time. If I have an idea for a melody I’ll sit down with that. Sometimes a 4 structure will evoke a melody and I’ll go with that or sometimes a turn of phrase or something tickles my fancy and I’ll just keep repeating it. Tom Waits says, “If you have a melody in your head and can keep it in your head all day long, that is probably a song worth working on.” That’s an arduous task, keeping it in your head all day long, especially with all the distraction we have going on in our modern world. So the process changes every time and sometimes for better or worse results. I like to switch things up and work with different instruments and push myself into new, unpainted areas of the room because otherwise I’ll be writing the same damn song over and over again and how boring is that? AD: Music or melody first? BH: Sometimes lyrics come first but it is doubtful. AD: How did you get involved with the Resentments? 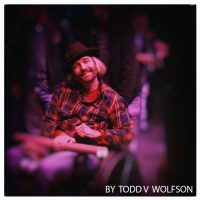 BH: I played and met with all of the fellows—Stephen Bruton, Jon Dee Graham, Scrappy Judd Newcomb, and John Chipman—in various bands around Austin. I’d known them all. I’ve known Jon Dee since the 80s, Scrappy since the 80s, Steven from the 90s, and John from the 90s. They were the reason why Bob Schneider and the Lonely Land went over to the Saxon Pub. They had such a killer, relaxed, down home presentation that it just seemed like such a beautiful venue for something like that to go on. I would go see them on Sundays because it was hilarious, and musical, and sometimes brilliant, sometimes jarring. I loved those guys and I would see them on Sunday nights and I didn’t have any work on Sunday nights so I started bugging them. I was working 5 or 6 nights a week but couldn’t get anything Sunday and they had a gig every Sunday and I wanted a gig on Sunday. Finally George Reif took off and the spot became open and they let me slip in, and I’ve been doing it ever since. I think it’s been 8 years now. AD: What’s special about Austin to you? BH: With all of its rampant and unchecked growth, most of Austin still has a neighborhood feel. Most of the people that live here have a good quality of life and are happy and secure. There are a lot of people working on an artistic path or following some dream goal that they have. Whether it is hanging art in galleries or working in four star restaurants or playing shows 4 nights a week, it seems like people are able to do what they want to do. I love it. I’ve lived in a couple of other places in the country and I don’t want to live anywhere else in the US. AD: Why do you think it all converges here? BH: It’s a small community, it’s centralized—it’s not spread out like Houston or Dallas or any other large kind of suburban growth city. It’s centered around a central part of the city that houses one of the largest, if not the largest, and certainly one of the wealthiest universities in America. There’s between 80,000 and 120,000 students that come in every year and bring fresh blood, fresh energy, fresh ideas, and fresh excitement. And that’s an ever changing thing. Also, Austin is a very affordable place to live—it was one of the cheapest places to live up until the 90s. That’s why Slacker was made. All of the things that the movie exemplified were true: you could come to Austin, Texas and work a part time job and live very well. You wouldn’t have to do very much of anything and still have a fantastic life. BH: The first thing I think of is, what a lame slogan. Is it meant to attract? The other thing I think is how ultimately true it is. Every night of the week there are 60+ clubs that have live music—usually 2 or 3 acts. Barring New York City and Chicago there is no other city in the country that has that much live music happening every night of the week. And it is music that is enjoyable and different. AD: What is the biggest lesson you have learned from being involved in music? BH: Be clear about why you are doing something. There are opportunities that I have taken that were solely for making money and there were opportunities that I have taken that were solely for making art, and then there were opportunities taken solely for the chance to do something that will scare the death out of me. There were opportunities taken to get a lot of attention; opportunities to promote a certain project. I’ve played music for money. I’ve gone on tours in order to make a living and I’ve also lived broke in order to make a beautiful noise with a bunch of my friends. Be clear on why you are doing something. And believe in it. There are a lot of different reasons to do anything, just be sure you know why you are doing it. I also have to say, don’t get too comfortable in what you do. I’m constantly trying to figure out new ways how to be uncomfortable in order to push myself into areas that I would otherwise not have gone. All along the way I’ve put these daunting challenges in my path in order to see that they are not really that scary. Keep pushing; keep growing; keep writing. BH: I think that I will start doing more solo stuff in support of this upcoming release. I’m getting ready to go over to Japan with Scrappy Judd Newcomb—we are going to do a duo series of concerts in Japan next month. AD: Will we start to see you as a solo act more often? What is the difference between performing alone as opposed to with others or as a member of a band? BH: When you play alone everything rests on you, which is good. You don’t have to wait on other people if they are late, you’re not dependent on the whims of other personalities and that can be a terrifically beautifying thing. It can also be very scary because you can’t rely on other people to take the heat. You’re the focus of the attention. When you are playing with an ensemble, it doesn’t matter how large or small, there can be a larger consciousness that you tap into. I’ve gotten this overwhelming feeling of peace and power playing in bands over the years. It’s the feeling that all of this collective energy is being focused and pointed out to an audience. It’s a huge thrill to do that and feel that. It doesn’t happen every time, but I find that it happens less rarely when you are playing with a group of people as opposed to playing by yourself. It’s an indescribable set of circumstances that make it happen and it’s an indescribable feeling that it produces, but it’s an amazing thing when you are on stage playing with a group of people that are a collective energy and everything is just hitting and flowing and everybody is feeling good. It’s an enormously uplifting, religious-type experience and I’m never going to forgo that. It’s just a lot of fun to play with people. It’s play. That’s where the joy came from originally with music—play, playing music, and playing with musical ideas with other human beings who are playing with musical ideas. Being able to trade ideas and conversations, it’s just one of the most terrifically fun things we can do as human beings.